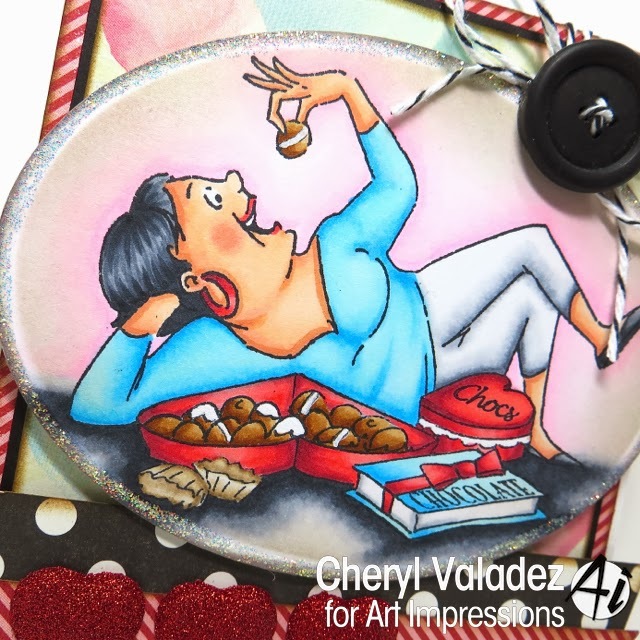 The Ink Trap: Love and Chocolate by Art Impressions! Hey, all! Valentine's Day is almost upon us. Are you ready for the big day? No need to worry. It's nothing that a big ol' box of chocolates can't fix! And while you're enjoying every velvety morsel, maybe you'll come up with a great a V-Day gift in the process. Nom, nom nom! LOL! This image is part of the Love and Chocolate set from Art Impressions. Snag it and lots of other wonderful stamps in the Ai Shop!